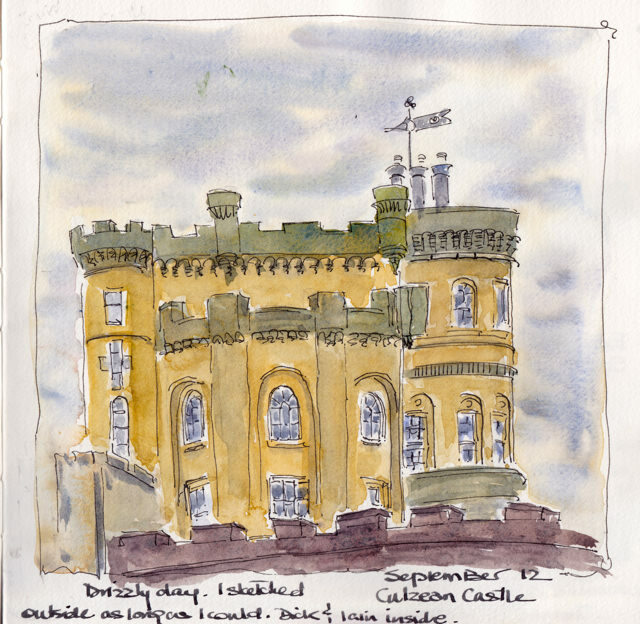 I am just home from 17 days in Scotland. We were busy and the internet was spotty, so I had the chance to do only one post. But I’m back now. Thanks for sticking with me! At the start of the sketchbook I drew a map so I could chart the journey. We spent a few days in Ayr (which is not on the map) with my wonderful cousins before beginning our tour. 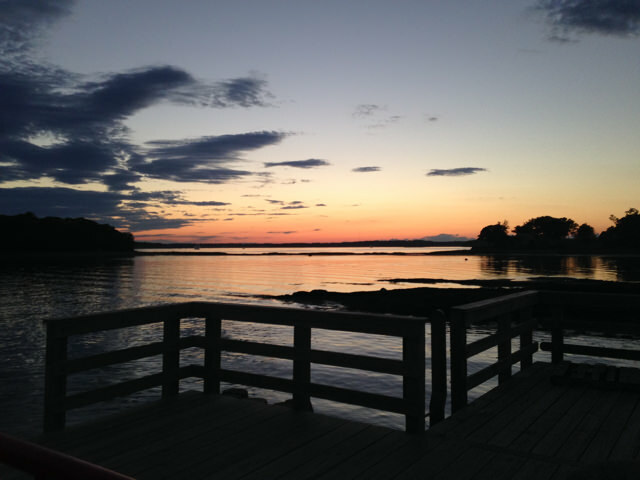 We took four ferries, saw countless lochs and mountains and stayed in small hotels on the coasts. Fortunately for us, the weather was outstanding–I wore my warm coat only once, and that was back in Glasgow. 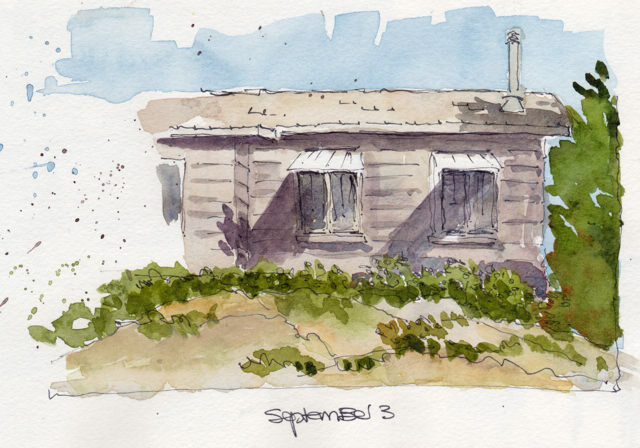 We kept a good pace, but I drew at every opportunity, often making a quick standing sketch and adding paint later. 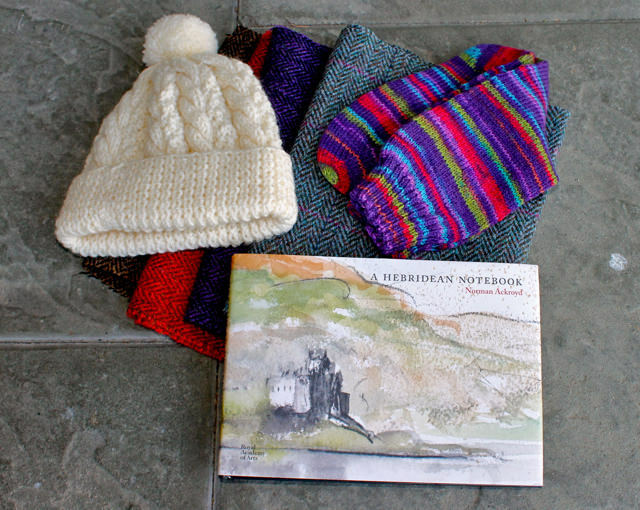 A few things I brought home from the trip: My Scottish grandmother spoiled me with hand-knitted clothing as I was growing up an ocean away and ever since I have loved Scottish textiles. Here you can see some Harris Tweed (more on that in another post), a hand-knitted hat for a little person in my life and socks the colour of the landscape. 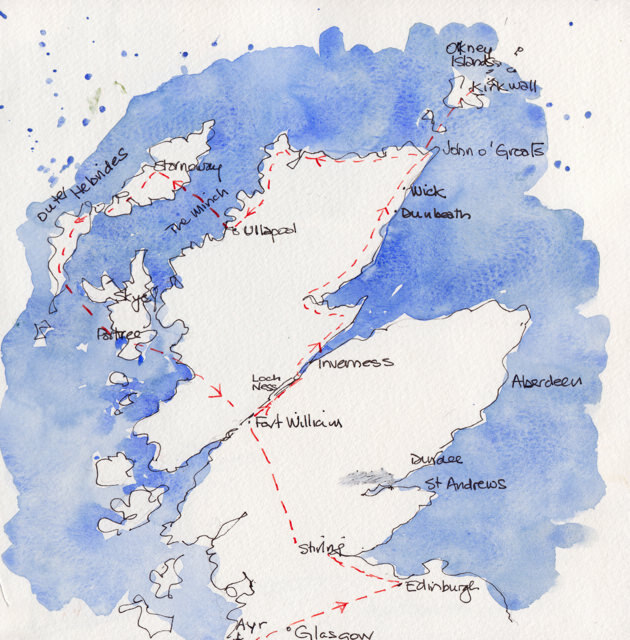 At bottom, an inspiring book of Hebridean sketches–again more glimpses of these sketches later. 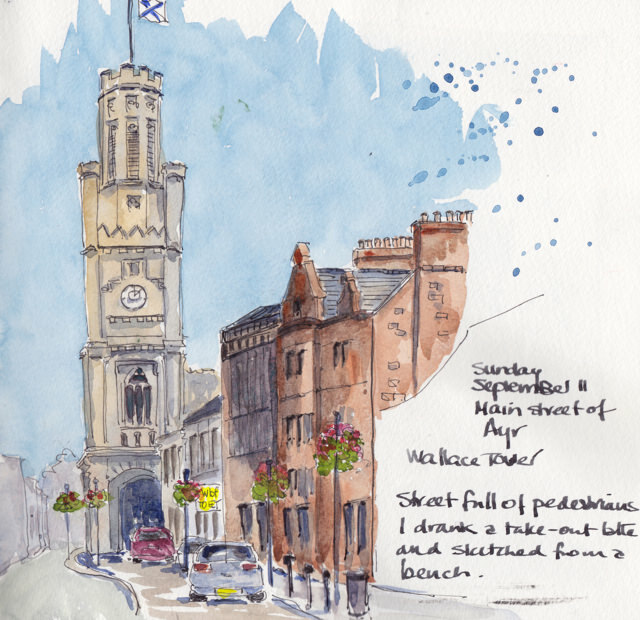 I had a chance to sketch the main pedestrian street of Ayr with the Wallace monument in the sunshine and Culzean castle in the rain. Edinburgh is one of my very favourite cities. 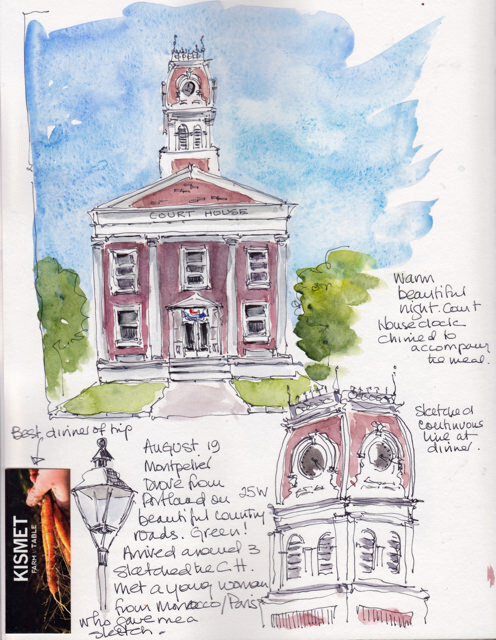 I sat on various benches doing quick sketches, trying to capture the remarkable architecture. These are views of the Old Town. 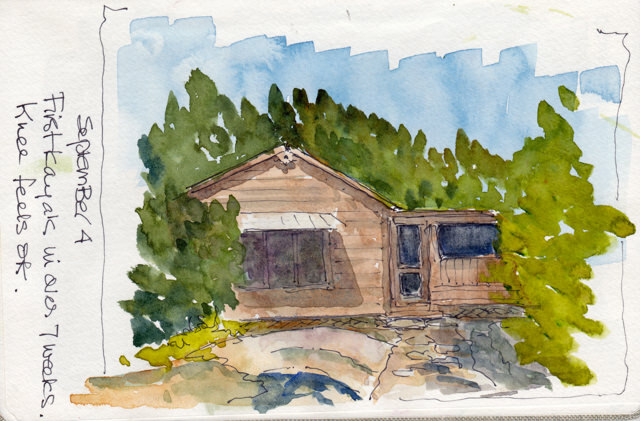 It will take a few days to share my sketches…and then I’ll be back in the studio finishing my rugs and making some new things for a show at the beginning of November. So more posts very soon. We are into our second week in Scotland and this is the first minute I’ve had to write on the blog. When I say minute, it’s a bit of an exaggeration. It’s just taken over 10 minutes for this sketch to download. So I won’t be adding more today. We have been in Orkney for the past few days. I’ve tried to sketch every minute I can, including in the high wind on the ferry. My goal is to finish the sketchbook this time with little drawings as well as some more finished sketches. 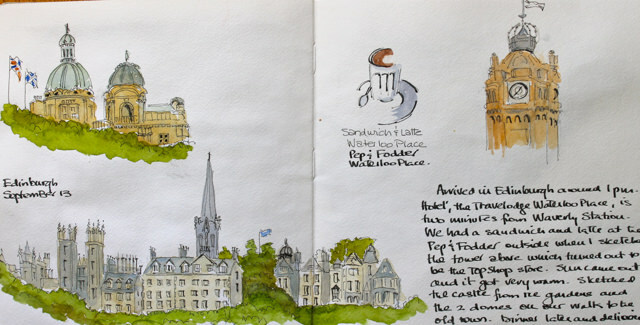 I loved Kirkwall and sketched both the sandstone buildings and the craggy countryside. The Scots are incredibly friendly and I’ve had lots of people stopping to talk and offer comments and critiques. 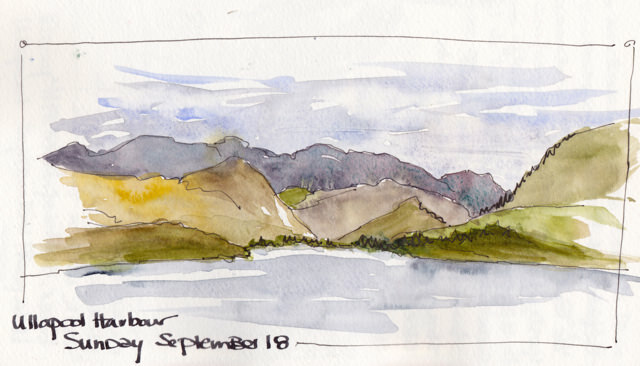 The highlands provided stunning material for sketching and the bonus is that we have had sun! 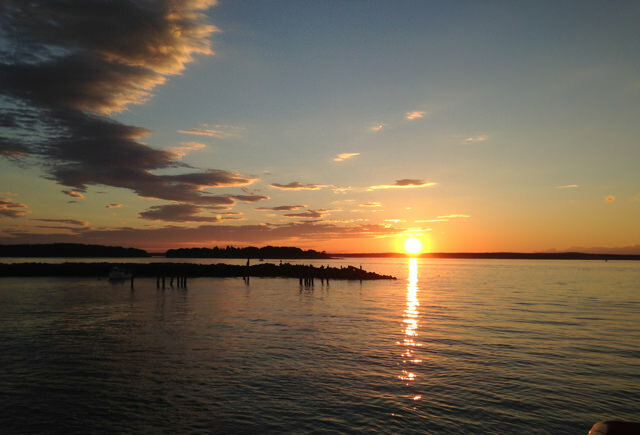 Everyone is telling us its the best weather of the summer. And now the outer Hebrides. A visit to Harris with its textles and rugged landscape has long been my wish. I read Peter May’s Lewis Trilogy in preparation for the trip, so I’m even more excited to see some of the romantic placenames come to life. 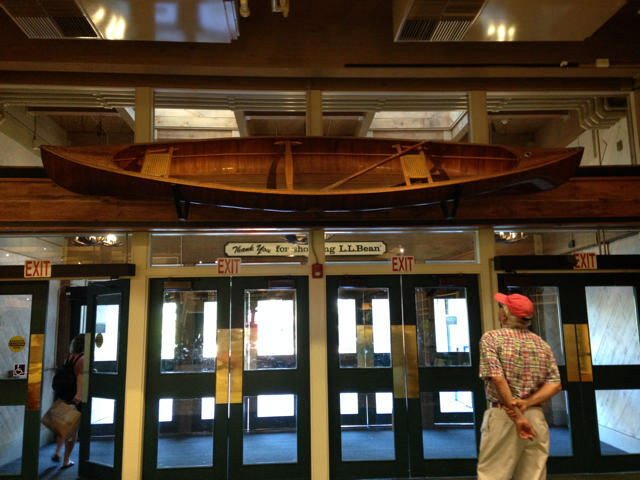 I’ll report on my visit one way or another–probably from Canada. 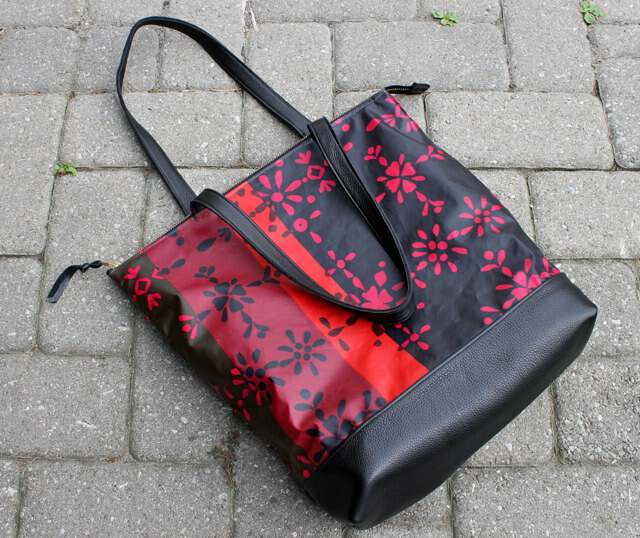 Here is another great Marimekko pattern made into a tote. I think it is the perfect pattern for fall and winter–fun flower cutouts in bright reds and orange on a dark background. 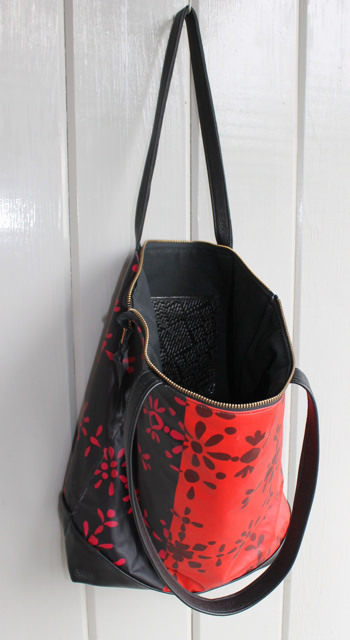 The tote has comfortable leather handles and a wide leather base. It closes with a durable brass coloured metal zipper which opens extra wide. 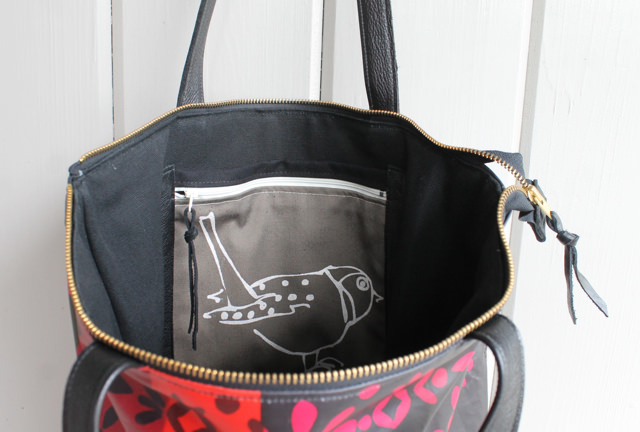 Inside the tote is lined in black heavy cotton with a textured leather phone pocket as well as a zip/slip pocket with a screen printed bird. This tote wipes clean inside and out. It measures 17″ wide, 15″ tall and has a base of 4.5″–designed to carry all you might want for travel or everyday use. Reports back from owners of this year’s Marimekko totes say they use their totes for both travel and everyday. They add such a wonderful splash of colour to your life. 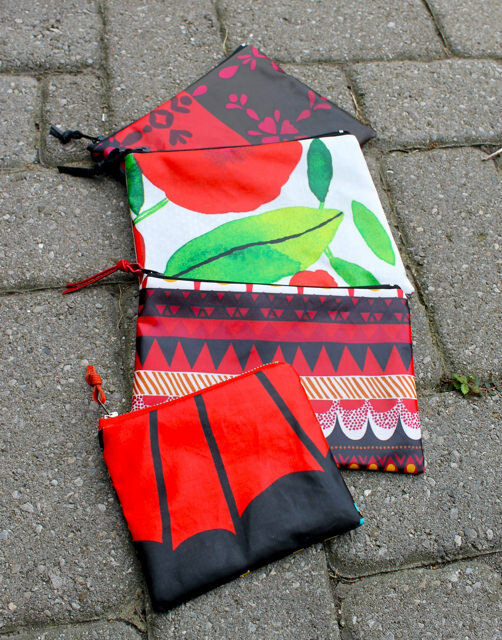 And I couldn’t resist making a few pouches for the four patterns I’ve used this year. I love each one of them. These pouches are great for make-up, for your headphones and other cords, or any other small items you want kept separately in a big bag. They are each lined in cotton and close with a nylon zipper. 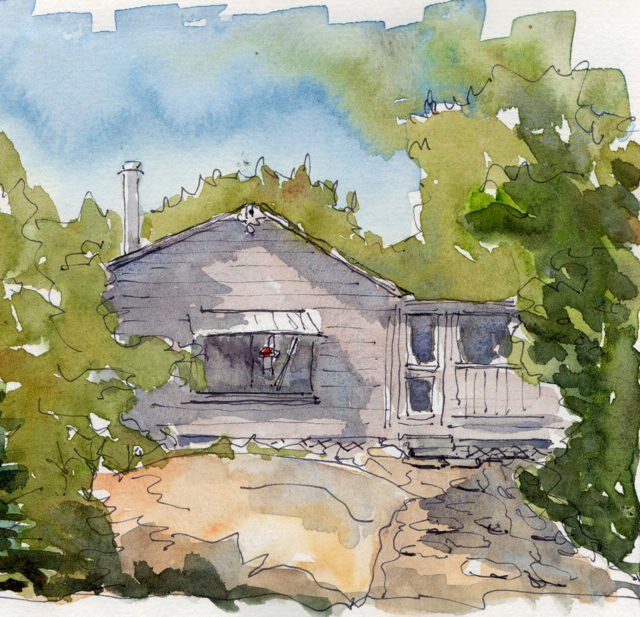 I spent some time sketching the cottage this past weekend, sitting out on the rocks and looking up. 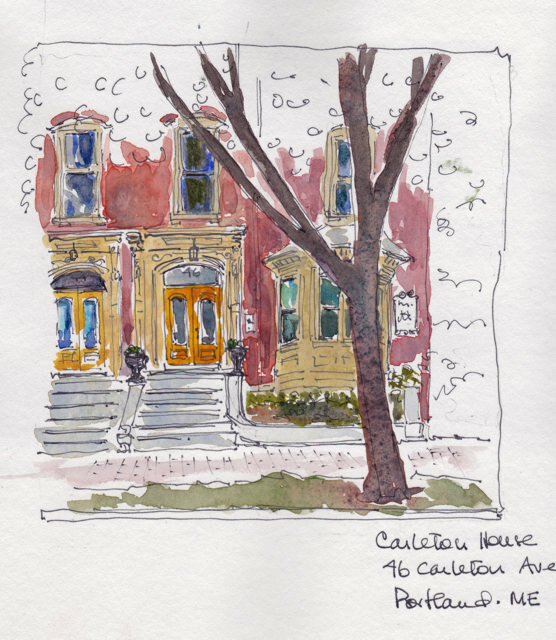 We are soon going on a trip and I want to sketch faster and more often than I’ve managed on previous trips. So I was giving it some practice. The second sketch here is my favourite, even though it has a big runback. The shadows and the ink line have a light touch which I’m striving for. I want to remember to take a moment to plan, even do a value sketch, find the eye level line and draw a casual border before before beginning the sketch. We will be gone just under three weeks and I’ll try to post as I go.